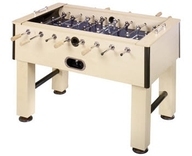 The Fat Cat Tirade Continuous Play foosball table is manufactured by the Fat Cat company. 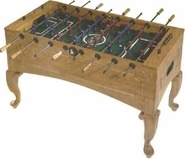 The tables unique cabinet size make it stable for those games that get a little rowdy. 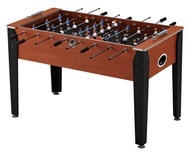 Even though this table has adjustable leg levelers and cup holders, it does lack some of the competition style parts that can be found on the Tornado foosball tables. 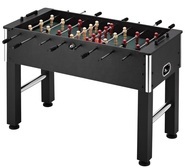 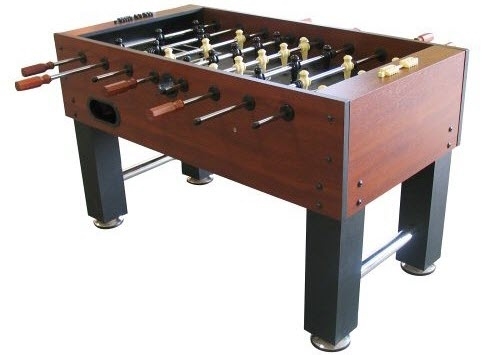 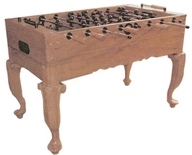 The robot style foosball men and plastic handles are the two features on this table that are lacking high quality parts.